written by a girl: Has blogging been ruined? You see, I’m having a bit of a ‘thing’ with blogging. I have a few niggles about what it is and what it’s becoming and as much as I love blogging (which is basically on the scale of how much I love wine so you all know I’m being serious here), I feel like if we aren't careful, this incredible, amazing thing that millions of people partaking in all around the world, is going to be ruined. Having a blog is amazing. Anyone and everyone can have one, that’s the beauty of it isn't it, that any person with access to the internet can have their own little piece of it and whether it be 3 people or 3 million people who read it, it doesn't matter, because it’s still yours. As people got increasingly fed up with magazine print content, and the wondrous opportunities of the world wide web got ever bigger, blogging was born. People started with their clunky little blogs, accompanied of course with a ‘.blogspot.co.uk’ address and they just started writing, about whatever they wanted too, and the amount of views or readers or followers wasn’t a big deal because it was just such a great feeling to create this content, content that was personal and probably had a few too many typos but it was yours so it didn't matter. 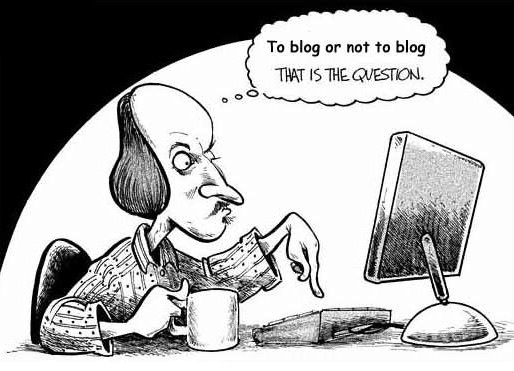 That’s why blogging was created, surely? For people to create their own content from their own ideas out of their own thoughts. There was no pressure of what would get the most views or how much your DA had increased in the past quarter, you just started writing things, anything, for yourself. And the reason why more and more people began to read them was because it was so amazingly relatable that you no longer felt alone anymore. Not only that, but you could finally trust whether that mascara really was great quality or if those shoes really were the comfiest thing that could ever grace your feet. Because people were so sick of magazines recommending things purely down to brands paying them too that it was empowering to finally have people’s genuinely honest opinion. I am by no means saying bloggers shouldn't get paid. They completely, definitely, 100% should because it is a job now and that is insanely amazing. That the blogging community has gotten to be so influential and so successful that people can make a career out of something they started as a hobby, and continued because of enjoyment, it's incredible. I’m also not saying that all bloggers are no longer honest and that everyone is living a lie and we should close down all blogs and the internet for ever and ever, goodbye, it’s over. But with brands recognising the increasingly influential role bloggers and vloggers have in product consumption, is blogging turning into a new form of PR? I have no doubt that the world of blogging is only in it’s early stages and that it will become increasingly more dominant in the technologically obsessed world that we live in, with increasing amounts of ‘digital nomads’ occurring which is SO EXCITED AND AMAZING because wow you can work from ANYWHERE in the WORLD! The freedom that gives you! But with that brings with it problems because who are bloggers writing for? Themselves? Readers? Brands? It’s such a fine line between working with brands and making money because duh, it’s your career but ensuring too, that you are maintaining your dignity, your honesty and your own actual creativity at the same time. The whole reason why blogs were so successful in the first place was because of how incredibly personal and relatable they were, of how honest and full of passion they were. With brands having an increasingly dominant presence in the world of blogging, the person behind the blogs I’m reading appears to be increasingly disappearing and if anything, ‘relatable’ blogs are actually becoming a niche. It's so fundamentally important to remain true to yourself with blogging nowadays; to not accept every offer that comes your way, to not let money or other influences affect your recommendations and opinions. Because as soon as that begins to infiltrate onto your little piece of the internet, when does it stop? How can people trust your opinion anymore? Once the trust is gone, boom, it's over. For me, a blog is a piece of a person, it’s their own content and their own creativity. For me, a blog is written for your own eyes first, and then for other people’s. Because if you aren't enjoying what you’re writing, if you aren't doing it for yourself, what are you doing it for? It’s an amazing feeling to have people not only read your work, but to actually enjoy it and be inspired by it too but it’s an even better feeling to hit that publish button knowing you’re completely, utterly and genuinely happy and proud of what you’ve created. To know it's true to you. You just can't beat it. What are your thoughts on where blogging is going? I'd love to hear them.